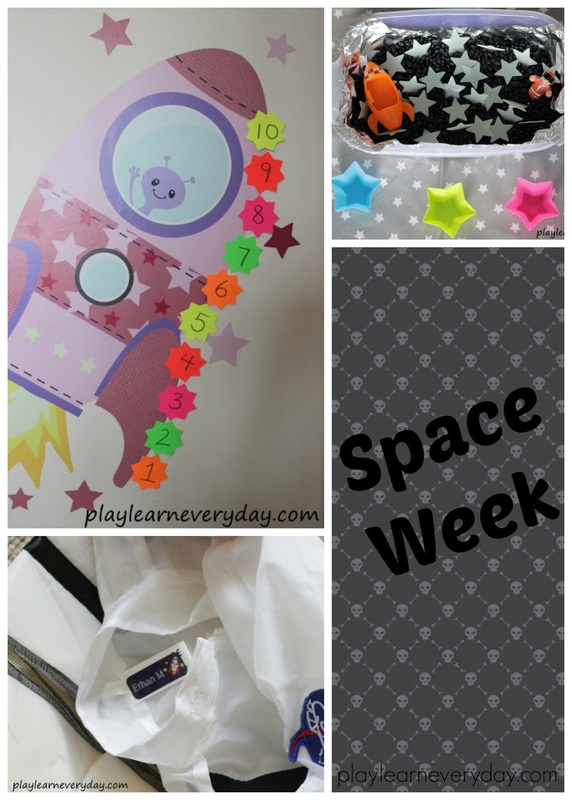 We love learning about space! The kids find it absolutely fascinating and it is so much fun to pretend to fly through space whilst learning about it. It's a great topic that so easily lends itself to learning about counting and about the world around us. This year we're also lucky enough to have a few extra items to help with our space play. We have this fantastic Space Mixed Name Label Pack from Stickerscape that includes both iron on and stick on labels and comes in a great envelope to store them in. We've already been using the iron on labels in Ethan's school uniforms and the sticker labels are great for things like water bottles, lunch boxes, shoes and for Ethan's space suit! We have also got this lovely Pink Flying Rocket Wall Sticker that I've put up in Ivy's room for the kids to play with. I decided to put it down at their level so that they could really play with it, rather than having it higher up and only be able to look at it. I have to say that I never realised that wall stickers could be so easy to apply, but following the instructions from Stickerscape made it simple, and even Ivy could help to stick them onto the wall and peel away the backing paper. Once we had placed the rocket, the alien and all of the stars on the wall we were ready to play! Ivy was touching all of the stars straight away and pretending that she was zooming off into space with the alien inside. It was easy to decide on our next game as space so easily lends itself to counting, forwards and backwards and it's a skill that both kids can work on at different levels. Ivy is still learning to count as well as recognising numerals. Whilst Ethan can have more fun with ordering of numbers. I used some star shaped paper cut outs and wrote the numbers from one to ten on them. Then I used blue tack to stick them to the wall alongside our rocket wall sticker. First I went through the numbers with Ivy a few times asking her to identify any that I left out. Then we brought Ethan in for our game and took turns taking away one number at a time whilst the other person shut their eyes and then had to guess which number was missing. It was so great that such a simple game could work so well for both children on their different levels. Ethan was able to easily spot which number was missing from our number line and I helped Ivy to count her way up or down to see which number was taken away. We're having so much fun with our wall stickers, and you can too! If you'd like to order some space wall stickers from Stickerscape this month just use the code SPACE16 to get 20% off your order!